Toronto metalcore outfit Cancer Bats have released a brand new track entitled “Bricks & Mortar”. 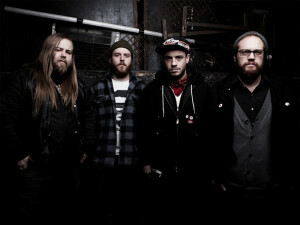 The new song is off of the bands upcoming album Dead Set On Living, out April 24 on Metal Blade Records. The band is currently on tour in Canada with support from Touche Amore and A Sight For Sewn Eyes. To view the rest of the bands tour dates as well as give their new song a spin simply click “Read More”. Be sure to let UTG know what you think of the jam.